Managing your money can become increasingly challenging as you get older. On one hand, you want to enjoy the money you have accumulated throughout your life, especially now that you have more time for exciting experiences. On the other hand, you are aware that you need to save for a comfortable retirement – although an exact figure is hard to pin down. Keep in mind that it’s all about balance. It’s perfectly possible to make the most of your senior years while still saving for less-than-fun expenses like insurance, end-of-life costs, and long-term healthcare. The key is to focus on what makes an experience enjoyable and looking into ways that you can get that feeling for cheaper. According to Travel Market Report, seniors nowadays are more likely to think like millennial when it comes to travel. They want real, authentic experiences and cultural immersion because experiences are more memorable than luxuries. When you think like this, travel becomes a lot cheaper. Luxury hotels can be fun, but they are slightly redundant if you plan to spend most of your time exploring. It is easier than ever now to find a comfortable, unique hotel for a reasonable price thanks to websites like TripAdvisor. Beyond this, look for senior discounts at major attractions, eat from the “budget” section of the guidebook (it’s usually delicious), and keep souvenirs to a minimum. Remember experiences, not things. You might also like Has the Indian Retirement Fund Industry come of age? If you have been daydreaming about a big, luxury expense, such as a nice piece of tech, a car, or a designer fashion accessory, consider going second-hand. Due to its potential both as a money saver and a money maker, the second-hand economy is booming in Western countries like the USA and Australia, according to sites like Ibisworld and Gumtree respectively. Most of the time, there’s no difference in quality, and you can also take comfort that you are making the more sustainable and ecologically-minded choice. Expensive restaurants are (usually) expensive for a reason. Fine haute cuisine is a unique experience, one that you cannot easily replicate at home. However, if you think that delicious, exciting food can only be found in the fanciest of award-winning restaurants, you are wrong. One way to keep a passion for good food on a budget is to make it yourself. Will it look as picture-perfect as something you buy in a top restaurant? Probably not. Can it be incredibly fun to try? Of course. The Modern Rogue has some great tips for elevating your cooking to a professional standard, or you can go back to your cookbook collection to start honing new skills. If you simply enjoy eating more than cooking, you can still do so on a budget. Delicious foods come in all shapes and sizes, and great cheap eats can be found everywhere around the world. You probably don’t need all of the insurance you are paying for. Take, for example, life insurance. 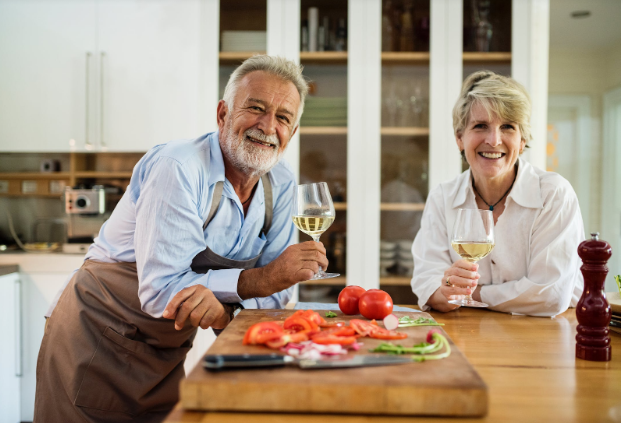 Seniors often continue paying for life insurance they don’t need, when their kids are grown up and financially independent or when they have enough assets to support a spouse. Review all of your insurance expenses and make sure you are only paying for things you need. Being money-savvy in your retirement years doesn’t mean you have to sacrifice joy, excitement, or novelty. It just means being smarter about the ways in which you treat yourself and enjoy your money. The internet has made it easier than ever to buy second-hand, compare prices, and educate yourself on the best deals. Use this to your advantage. About The Author: This article is contributed by McKinley. Jim is a retired professional and wants to help fellow Baby Boomers in gaining financial independence.